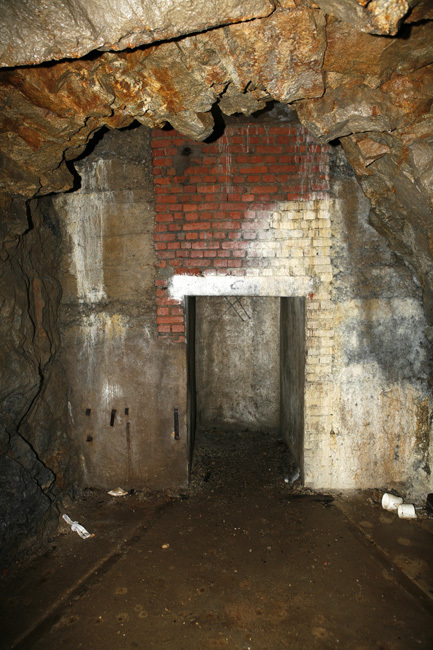 Entrance to the stairs up to the fighting block. 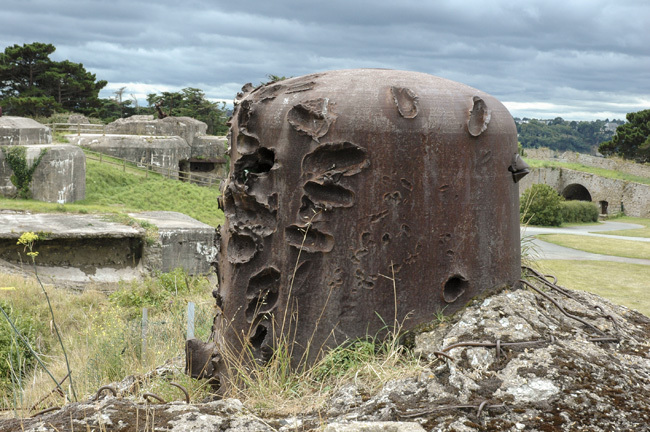 The heavily damaged turret with lots of concrete in the background. 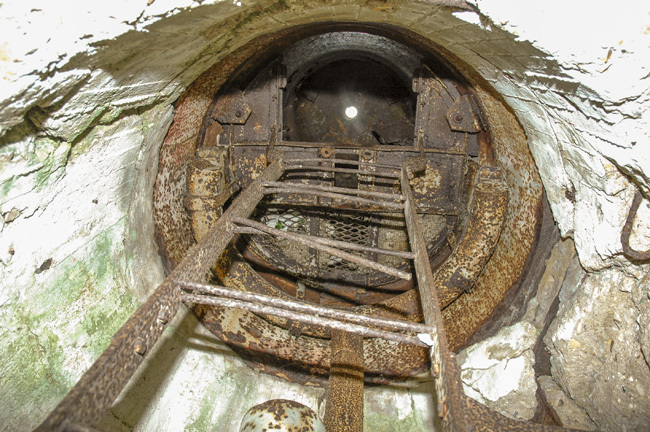 A view up in this quite intact turret for infantry observation. 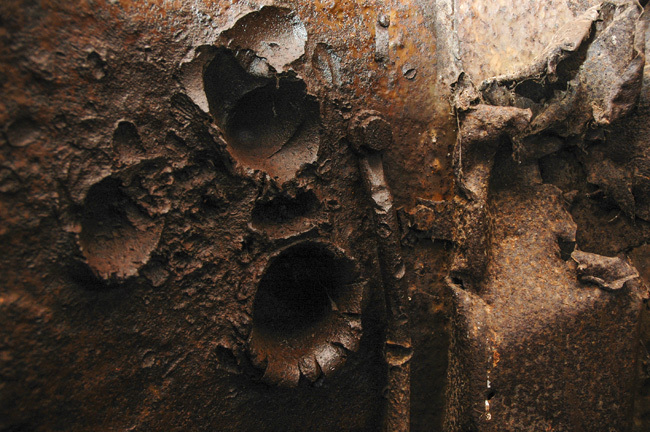 Shells went right through the 12cm of solid steel ending up in the inside of the turret.